Description: Welcome to Fusion. 3 bedroom, 3 bathroom, 1500 + Sq. 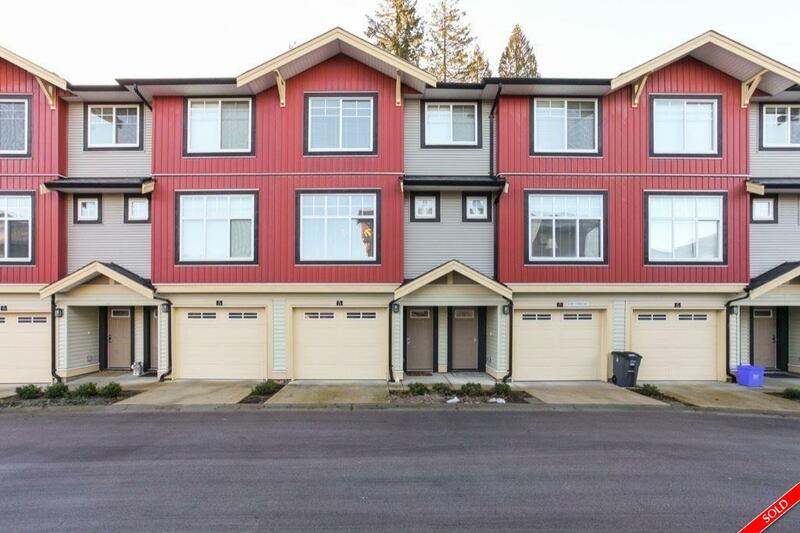 Ft. Townhome tucked away in a family oriented neighbourhood. Main floor offers bright open floor plan, gourmet kitchen with quartz counters, stainless steel appliances, living room with electric F/P, powder room and dining room leading to private, South facing, fenced yard. Upstairs has 3 bedroom, 2 baths, laundry, master with ensuite. Extras include: washer/dryer, 2" faux blinds, Laminate flooring, 9' ceilings and crown moulding. 2 storey amenities building with outdoor patio is great for entertaining. Close to Woodward Hill elementary and Sullivan Heights Secondary, transit, Recreation, shopping with easy access to King George Hwy. Like new without the GST.